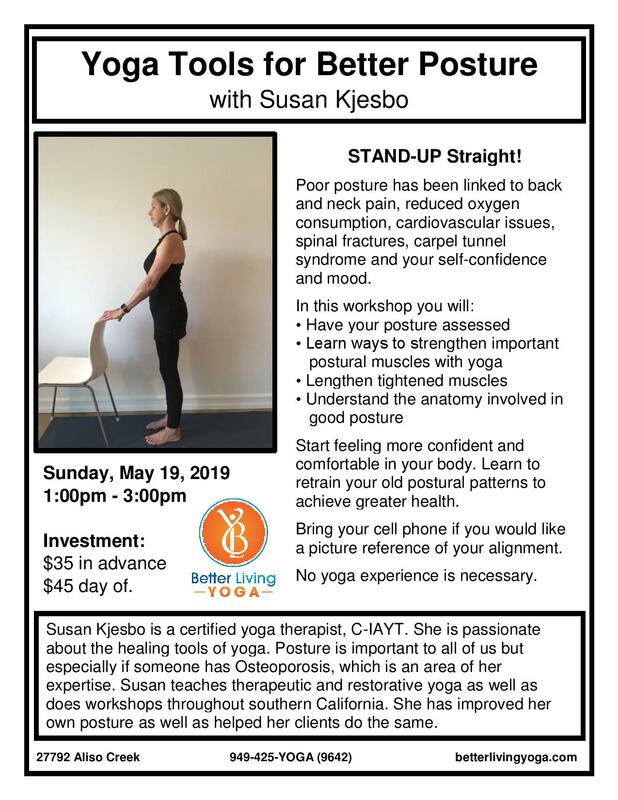 Poor posture has been linked to back and neck pain, reduced oxygen consumption, cardiovascular issues, spinal fractures, carpel tunnel syndrome and your self-confidence and mood. Start feeling more confident and comfortable in your body. 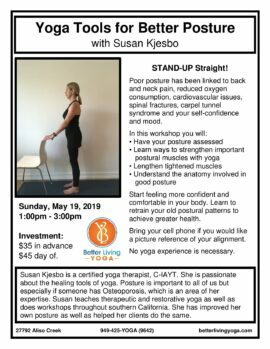 Learn to retrain your old postural patterns to achieve greater health. Bring your cell phone if you would like a picture reference of your alignment.